Over the last several decades, coffee — much like dark chocolate, red wine, and certain types of fat — has seen its reputation swing from one extreme to the other. Once thought to stunt growth in children and cause heart problems, the caffeinated beverage has been given the official green light in the latest version of U.S. dietary guidelines, which state that three to five cups per day can be part of a healthful diet. But despite being the most widely consumed stimulant in the world, caffeine doesn't affect everybody in the same way. 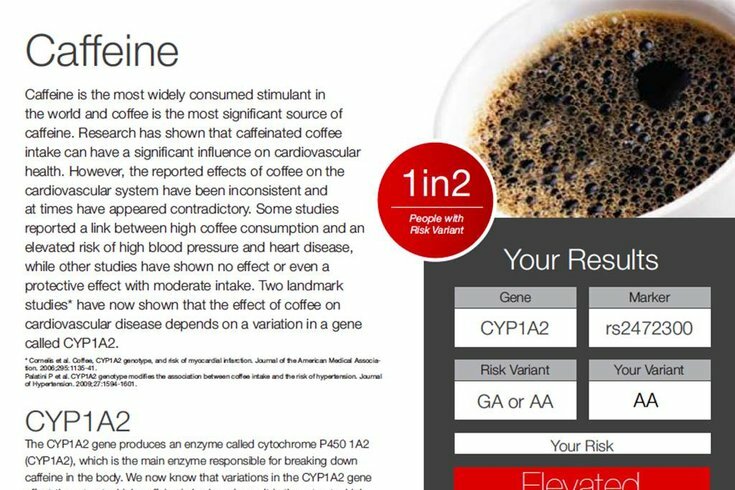 In fact, a gene called CYP1A2 distinguishes between “rapid” versus “slow” caffeine metabolizers — and the latter group has an elevated risk of heart attack with greater coffee intake. This finding is among many supporting the idea that humans physiologically respond to foods differently depending on their genome — and with a simple saliva swab, a growing number of companies will sell you a personalized “DNA diet” of your own. Startups like DNAFit and Nutrigenomix provide customers with detailed reports containing personalized dietary recommendations based on their genetic profile. While the science behind some of these recommendations may have valid roots, some argue that such advice jumps the gun. Research in nutritional genomics remains in early stages, and the links between diet, genotype and disease risk often go beyond a straightforward cause-and-effect relationship. Danzon's main area of research lies within the pharmaceutical industry, and she previously investigated the use of genomic differences to personalize drug treatment. The rising popularity of DNA diets goes hand in hand with the excitement around such personalized medicine, which tailors health care to each patient's genetic makeup rather than using broad “one-size-fits-all” treatments and recommendations. Perhaps the most recognized example involves screening for mutations in the BRCA1 and BRCA2 genes, which greatly increase a woman's lifetime risk of breast and ovarian cancer. Physicians recommend those who test positive get screened earlier and more frequently. 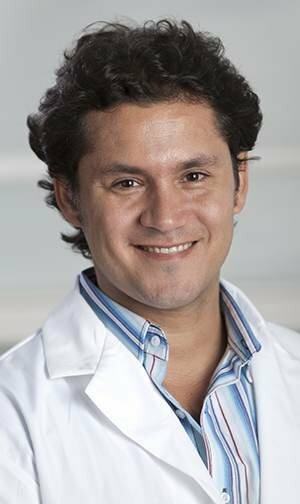 El-Sohemy has been a researcher in nutritional genomics for over a decade, perhaps best known for discovering the genetic link between rapid/slow caffeine metabolism and heart attack. He took the steps to commercialize his work as a University of Toronto startup in 2012, partly out of the frustration he felt about contradictory scientific findings on healthy eating. Sensationalized news headlines flip-flop endlessly about certain foods being good or bad for you — and El-Sohemy hopes to restore some credibility to the field of nutrition by bringing nutritional genomics to the public eye. Nutrigenomix uses a panel of 45 genetic markers that give personalized information on caffeine metabolism; the absorption and breakdown of nutrients like vitamin C, folate, and calcium; food intolerances such as gluten and lactose; and safe amounts of saturated and omega-3 fats to consume. El-Sohemy stresses that his tests are only available though a healthcare professional and not sold direct-to-consumer, unlike some of their competitors. Currently, almost 3,000 clinics in 22 countries offer the company's tailored dietary reports. But other experts warn that more research needs to be performed with large cohorts adhering to specific diets in order to give such detailed and accurate advice based on those markers. In 2014, the Academy of Nutrition and Dietetics stated that while nutritional genomics is an emerging science that holds promise for tailoring diet to a person's genotype, giving personalized dietary advice based on genetic testing is not ready for routine practice. A chart on the DNAFit website shows prospective customers which genes are tested. Very few studies cited by nutritional genomics companies are truly designed to provide dietary guidelines, and are often performed in a specific population group — usually people of European descent. But El-Sohemy responds to these criticisms by noting that the vast majority of today's widely accepted dietary guidelines are not based on randomized clinical trials. "It's easy for a naysayer to say 'we need more evidence' because that's the 'safe' and conservative thing to say," he said. "Those who claim 'we need results from a [randomized clinical trial]' would be hard pressed to show you that level of evidence for most of the dietary advice they offer." The science behind nutritional genomics does appear to have merit, however. Last year, Nielsen and his colleagues published a study revealed that mutations in the DNA of Inuits and their Siberian ancestors play special roles in fat metabolism that help them counteract the negative effects of eating lots of animal fat. The findings deciphered a decades-old medical mystery — how Inuits living in remote Greenland managed to avoid cardiovascular disease despite subsisting on a high-fat diet of fish and marine mammals. Previously, scientists had concluded that the Inuit diet — chock-full of omega-3 fatty acids, a type of fat used in cell membranes throughout the body and found in fish oil — held the key to their robust, disease-free hearts. Word spread, and soon fish oil pills started flying off the shelves of health food stores around the world.